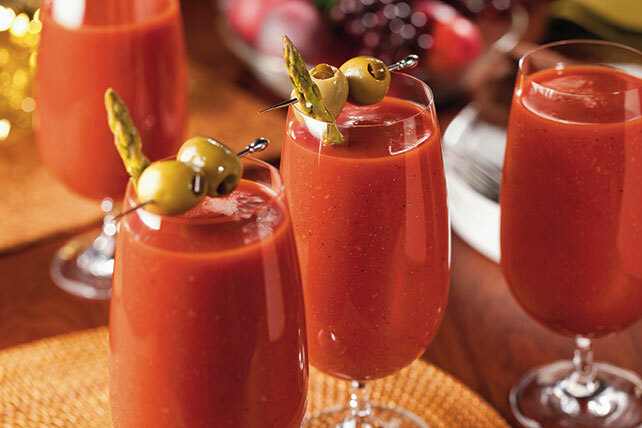 Try the Ultimate Bloody Mary Mix at your next brunch. It's the perfect option to enhance the meal any time of year! This olive-garnished, super-seasoned bloody Mary mix is so good, you won't believe it's non-alcoholic. Blend all ingredients except olives and asparagus in blender until well blended. Substitute pickled pearl onions for the olives.